Courgette plants are so easy and quick to grow that they really are a must in any vegetable plot. They like to spread out and need a fair amount of space but courgette plants do well in growbags and some varieties are happy to be trained vertically – thus reducing the amount of space required. 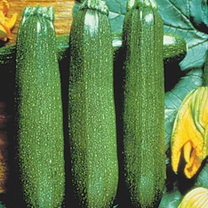 Courgettes are a summer squash and strictly speaking are a fruit rather than a vegetable. 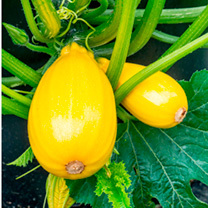 With their lovely yellow trumpet-like flowers courgette plants certainly add colour to the garden as well as being a useful ingredient for a whole variety of meals. Where to grow? - Courgette plants are happy in either full sun or partial shade but do like to be sheltered from cold winds. 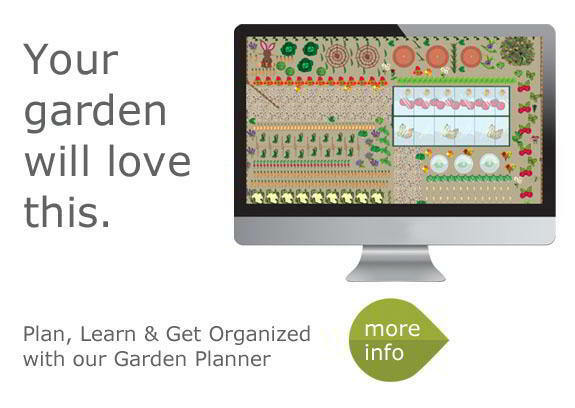 They are not too fussy about the type of soil as long as it is well drained and fertile. How to grow? 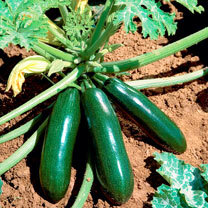 - Courgettes are very heavy croppers and so just a few plants will be enough for most families. The soil needs to be very fertile so dig in plenty of well-rotted manure or garden compost several weeks ahead of planting. Once the threat of frost has gone plant the courgette plants out at 60cm intervals. Keep well weeded but take care not to damage the root structure. When the first fruits start to swell feed weekly and keep the soil moist making sure that you water the roots and not the foliage. If the weather is cold and there’s not much bee activity then you may need to help your courgette plants by hand pollinating the female flowers (tiny marrow behind the petals). To do this remove a male flower (thin stalk behind the petals), strip off the petals and dab gently into the female flower. When to harvest? - Courgettes are best eaten young so are usually harvested when they are less than 20cm long. 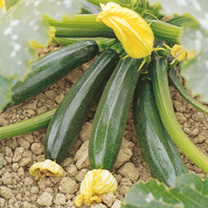 Regularly harvesting the fruits will encourage your courgette plants to continue cropping. Your friends and neighbours will be delighted with the surplus. How to eat? - Courgettes are so versatile that there is no surprise at their popularity. They can be eaten raw in salads, steamed, grilled, baked, barbecued and even the flower can be eaten when dipped in batter and lightly fried.